As we said in a previous article stoicism has been studied and utilised by thousands of people over at least two millennia. 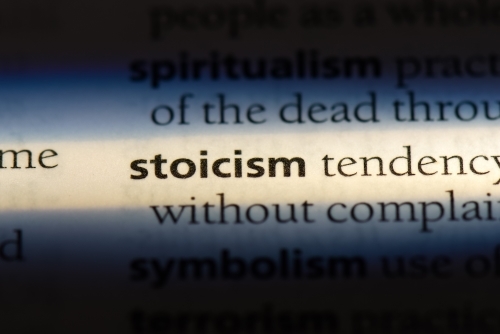 We also pointed out that stoicism was one of the dominant philosophies that has underpinned cognitive behavioural therapy and rational emotive and behavioural therapy over the last four decades. As promised, we are going to clearly identify in this article some of our favourite techniques utilised by the stoics and hopefully you will benefit from these with a calm state of mind, increased resilience to stress, reduced anxiety and the ability to challenge those thoughts and feelings which might otherwise lower your mood and in turn lead to depression; benefitting from them as we have here at Mind Health Development. As usual, we welcome any comments below and feel free to use that opportunity to share your own favourite stoic philosophy techniques. Below, we will explore three of our favourites. You know how it is. You go to the supermarket on a Saturday afternoon, find that everyone else has decided to do their shopping at that time too, the store is packed to the rafters with many other shoppers and when you have finally located every item on your list and have a full trolley there are massive queues at the tills and your frustration is ready to blow. In the book Enchiridion, Epictetus speaks about an earlier version of this frustration in going to the public baths at busy times. He clearly finds it difficult to understand why people don’t want to be jostled as they bathe would go at the busiest time. So, if we are frustrated at supermarket shopping when lots of other people are going to be there why don’t we go when it is quieter? The answer might seem obvious but sometimes we have to put in a little bit of effort to change our routine or to motivate ourselves to go at a quieter time when we might have our feet up watching the favourite television programme. The stoic would recognise that the choice was now his or hers and whether or not they feel the frustration now becomes a choice of whether to go shopping when it is quiet or busy. Now can you identify situations where you recognise that you can get frustrated, angry or stressed and reduce your exposure to these settings by making a few small changes? Many of us have seen bracelets mugs or posters with the question what would Jesus do. Similarly, there is merchandise to be purchased with the question ‘what would Buddha do?’ Stoics would actively use a technique like this to help them practice the behaviours associated with situations they found challenging. They would identify a role model who was very good in the situations that they themselves would find difficult and then role-play as the model, imagining the reactions of said role model and imitating them. Then when entering a situation in the real world that they would find difficult they would simply act in the practiced way. 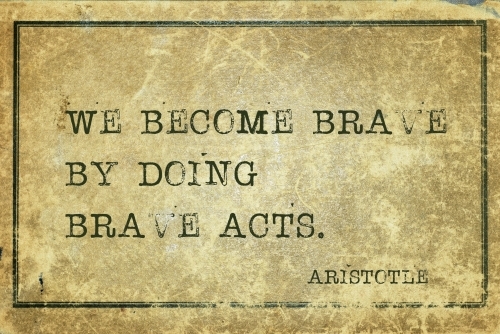 The Stoics would find that doing this would leave them feeling very different in comparison to the times when they had acted out of emotion and this would lay down a new memory that told them they were better in these situations. than they had previously believed themselves to be. Can you identify situations that you find difficult yet know of someone whether they are a real person or a character from fiction who deals very well with the kind of thing that you struggle with? How do they react? Can you practice this? Can you use this the next time you find yourself in such a situation? We hear so much these days about positive thinking and positive psychology and yet the truth is balanced thinking reaps the greatest rewards and causes the least psychological harm especially in genuinely difficult situations. In order to balance their thinking, Stoics would often imagine the worst outcome in the future situation, preparing themselves for a brutal reality should it whilst being mindful to not fall into the trap of negative self-fulfilling prophecy and unnecessarily believing the product of the negative thinking. Sometimes this negative thinking would identify for them a route around possible obstacles and would identify resources they might want to have to hand should the worst happen. The second of our double negatives would be to imagine the life that you have today starting to disappear before your very eyes. Imagine having some of the things in your life taken away such as the ability to read or losing possession of the car that you own or even having the house taken away from you or friends leaving. Now reflect the for a moment on the reality – none of those things are true. Often, when doing this exercise, we are able to elevate our levels of gratitude to new heights and find ourselves becoming more content with what we have and own and a little less needy and greedy. Are you experiencing difficulty or a problem at the moment? Of course, we want to hope for the best but take some time out to imagine the worst and prepare for it. Does this identify any other routes or avenues you can walk down to be better prepared? Do take stock of some of the good things in your life and take a few minutes to meditate on a vision of yourself struggling if you lost an ability or a prize possession that you have taken for granted for so long. Now breathe easy and reflect on how blessed your life is with these abilities or possessions available to you. Stoic philosophy has helped people for millennia; helping them to manage the difficulties of the day. Stoicism has also prepared people to experience life with fewer negative assumptions about the world and their own lives and futures. 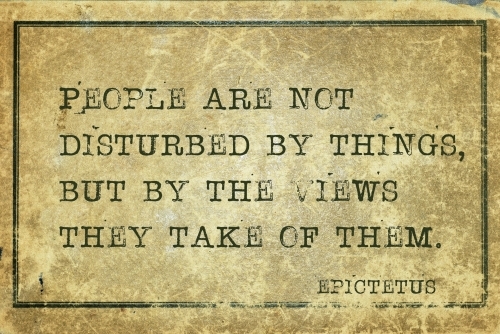 Please use the comments section below to start a conversation about stoicism and how it has or could help you. very thought provoking – thank you for sharing.